The third CD from Swiss band Sonar is their second release on Cuneiform and its another amazing album. 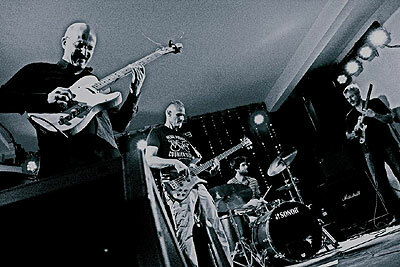 Sonar are masters at controlling the high-velocity energy of guitar-centric fusion music. Like a Swiss watch tells time, the motions and movements of Sonar are carefully controlled guitar experiments. On the 2015 release of Black Light, Sonar guitarists Stephan Thelen and Bernhard Wagner are joined by bassist Christian Kuntner and drummer Manuel Pasquinelli and the results are emblematic of just how precise and well rehearsed the Sonar machine is. 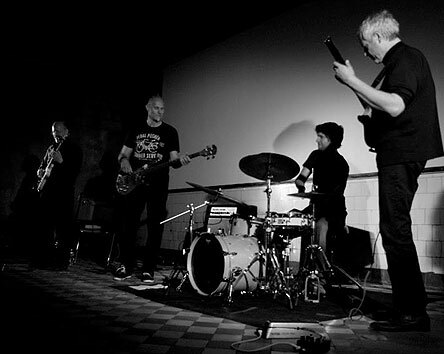 Thelen cites early influences from minimalist Steve Reich while others have described them as creating a kind of Zen-funk sound as it relates to minimalist guitar fusion. On Black Light, Sonar receives some expert production advice from producer David Bottrill, who worked with King Crimson in the past. 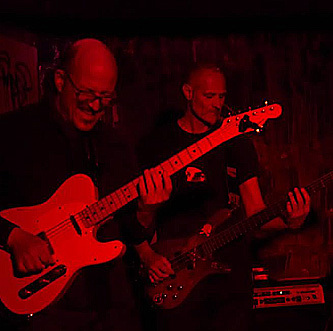 Connections to King Crimson, especially the post 1980s band, exist in the sound of Black Light as well. As the CD progresses from track to track its equally evident that Black Light will find a home with fans of both King Crimson as well as KC guitarist Robert Fripp. Black Light is a sonically riveting album filled with mesmerizing instrumental guitar fusion workouts. Also from the in depth Black Light liner notes, group founder Thelen adds, Music must get under your skin and have an emotional impact, otherwise its worth nothing. Black Light will take you deep into Sonars expansive sonic stratosphere. mwe3: When and where was the music for Black Light written and recorded? 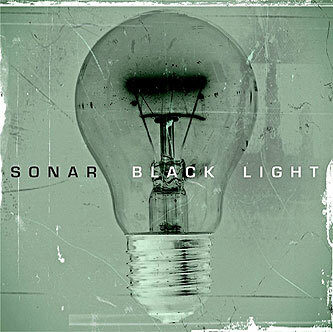 From the writing and recording to the production, did you have some set parameters on Black Light to create something new and different from the first two Sonar albums? Stephan Thelen: The music on Black Light was mainly composed after the release of our 2nd album Static Motion. At first, we wanted to use the same studio as for the recording of Static Motion. For that album, we traveled to a remote island called Giske in Norway, where theres a great studio called Ocean Sound Recordings. But instead, mainly because Christian (the bass player) had recently become a father, we decided to remain in Switzerland and booked a studio just outside of Zürich called Powerplay, where the album was recorded between January 2nd and January 5th 2015. We knew that the music would be heavier than the music on Static Motion and that the new album should be shorter and more concise. We also wanted to work with an outside producer, which was new for us. My first choice was David Bottrill, mainly because of his work with Peter Gabriel, Tool and Sylvian/Fripp. Luckily, David immediately agreed to join us and flew from Toronto to Zürich on the first day of 2015. David did the mixing in February/March at his own studio in Toronto, constantly updating his mixes until all of us were happy with the results. mwe3: What was it like working with producer David Botrill? What did David bring to the sound and what did you look for in a producer this time and who else was involved in the shaping of the Black Light sound? Stephan Thelen: David was a perfect choice for us. He is a producer that listens carefully to what you want and will help you find what you are looking for. He always has good suggestions, but has no ego problems if you dont want to use them. He was with us on every step of the recording, like a fifth band member. His main input on the sound was during mixing and you can easily hear that he definitely made it more compact and powerful. Another important factor was the mastering, which was masterfully done by John Cuniberti, who was recommended to us by our good friend Anil Prasad. mwe3: What about the guitars and amps youre playing on Black Light. You recorded the first Sonar album, A Flaw Of Nature with a Steinberger and Les Paul Custom played through a Fender Mustang III amp. Whats new in the guitar world for you? Is music becoming too computerized these days or did you use any other kind of sound shaping tools such as effects or modelers on the Black Light CD? The sound of Black Light is very clean and pure sounding. 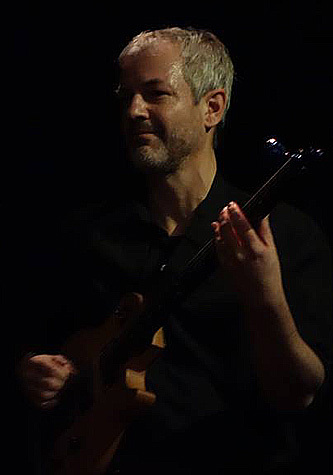 Stephan Thelen: Part of Sonars concept is to use only clean guitar sounds. I absolutely love the sound of distorted guitars, but one day, it just suddenly felt too cheap and too easy to just switch on a box to get this wall of sound. I was more interested in compositional ideas that generate the same effect but with simpler means. It all goes back to a Steve Reich quote, which really was important for me. He said that  for instance  if you are interested in Sitar music, you shouldnt just go out and a buy a Sitar and some Indian clothes, thats cheap and superficial. Rather, you should study the music carefully and find out which ideas are behind the music. Then, you can adapt these ideas in the context of the culture that you grew up in, and really come up with something new and original. If you listen carefully to Steve Reichs music, you can always hear the ideas of other cultures, but the instruments he uses are always Western instruments. For Black Light, we went straight into the mixing desk: Bernhard played his Telecaster through a Line 6 Pod HD and I played my rebuilt Steinberger through a Kemper profiler amp. Live, we both still use the Fender Mustang III amps, because they are reliable and light. There is exactly one effect that we both use extensively, a Strymon Blue Sky reverb unit. And if I tell you that we also used a capo for the first time, you will probably notice how much weight even simple and little things have in the world of Sonar. mwe3: Sonar is going against the grain of progressive rock in 2015 yet the prog-rock crowd seems to take an avid interest in Sonar. Most prog bands seem to be more interested in the song-driven classic rock sound but Sonar seems to be going in a completely different direction, bringing instrumental, avant garde, guitar-scapes into the realm of prog. Is that how you see Sonar in 2015? Whats been the reaction among fans to Black Light and Sonars unique update on King Crimson-esque instrumental rock? Stephan Thelen: We didnt plan to be a prog rock band at all. I am equally interested in progressive rock music, jazz, classical music, minimal music and the avant-garde. So, in a way, we were surprised when the most favorable reaction came from the prog scene. We originally thought that Sonar might have the strongest appeal to a jazz audience, which it does, but only to a certain degree. But the strongest reactions have in fact been from people who love instrumental and progressive rock. Personally, my favorite response is from people who realize that our music isnt about math rock but that we are a very passionate band, even if it is a dark and mysterious kind of passion. Sonar explores deep dark corners of the psyche in a manner that few other groups are capable of was what one writer wrote. Its so beside the point to call us an intellectual band, our music is much more about process and development. Another response I really appreciated was: "I'm not sure what just happened, but this is one of the most inspiring things I ever listened to. I had my head full of strange and surreal imagery just because of this completely unique approach of unconventional music. I felt like being caught in a labyrinth of melodies, haunted by 'the unknown. This was actually my main goal with Sonar: to let the audience re-experience the mysterious and forgotten feelings of hearing music for the first time. Stephan Thelen: I love the new Akku album too and I think there are quite a few other Swiss bands and musicians that are extraordinary in many ways, e.g. Schnellertollermeier, Nik Bärtschs Ronin, Don Li and Plaistow. Norway is also another country where very interesting new music is coming from. I have started to work on my next solo album (working title: Fractal Guitar) on which I will use effects again, especially delays, in a hopefully new and original way. Manuel will play drums on that album and there will also be a few guests including Markus Reuter and Matt Tate, a touch guitarist from Chicago. mwe3: What did you think of the return of King Crimson and is KC still the benchmark for progressive experimental rock in 2015? Has Robert Fripp made any favorable statements about Sonars releases yet? mwe3: What were some of the most memorable concerts by Sonar over the past year or so? I remember you saying how great your 2013 shows were in the U.S. and the U.K. Are some shows better than others for you? Stephan Thelen: Yes, from my point of view, some shows are better than others. It depends on a lot of things, the audience, the venue, the sound, the mental and physical state of the players, etc. The best Sonar concert for me - musically at least - was probably in a small jazz venue last year in Liechtenstein, where I lived as a teenager. The band was very concentrated and relaxed, the audience attentive and enthusiastic. In the quiet parts, you could literally hear a pin drop and in the loud parts, the whole venue took off into another galaxy. mwe3: How loud is too loud for Sonar? Do you like to play loud or do the more intricate moments of Sonars music dictate a kind of more delicate type of performance? Is it difficult to balance the two sides, the intricate and the powerful? Stephan Thelen: In the ideal case, I like to use the full dynamic range: having parts where you barely hear what we are playing to parts which are loud, full-blast, wild and ecstatic. Too loud is when it hurts the ears. Sometimes, we cant play as loud as we would like to, but we can adapt quite well to any performance situation. We have successfully played in living rooms in front of 10 people as well as on big stages in front of 1000 people. mwe3: The cover art of Black Light is incredible. What can you tell us about the cover art of Black Light? Seems like Sonar gives careful attention to all artwork associated with the band and their releases. Stephan Thelen: Yes, the artwork is important and should mirror the aesthetic of the music. I have always loved negative and solarized images, so my very first idea for the Black Light cover was to have a negative image of some source of light, so that the light itself was black. In the beginning, I was reluctant to use the image of a light bulb, because that has been done before by other artists. But the rest of the band loved the image that is now on the front cover so much that they eventually convinced me to use it. mwe3: What are some of the challenges in moving forward with Sonar in 2016? Are you looking and hoping for new musical breakthroughs with your new music, perhaps as a follow up to Black Light or another project, in the future? 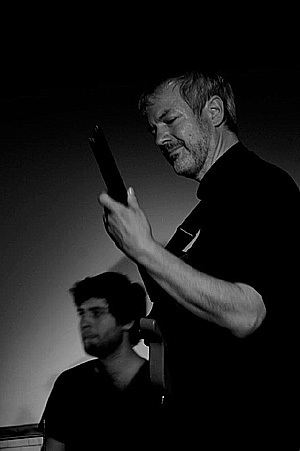 Stephan Thelen: Our aim for 2016 is to play live as much as possible, to write new music and to look into some possible projects with other musicians and artists. We are not consciously thinking about a follow up yet, but Im quite sure that new music will appear that we will eventually want to record in a not too distant future.